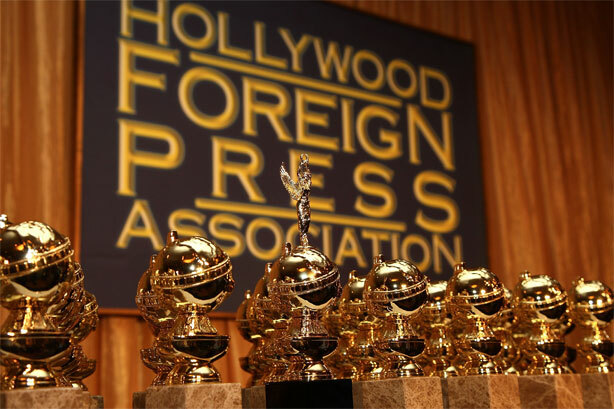 Tonight at 8pm on NBC are the 64th Annual Golden Globe Awards. Warren Beatty will receive to Cecil B. DeMille Award and countless others will honored for their contributions to films and television in 2006. Tim Allen, Jessica Biel, Steve Carell, Sean Combs, Jamie Foxx, Jennifer Garner, Dustin Hoffman, Philip Seymour Hoffman, Djimon Hounsou, Joaquin Phoenix, Charlie Sheen, Sharon Stone, Steven Spielberg, Naomi Watts, and Renee Zellweger are set to be presenters. Here are this year’s nominees and who I believe should win and who will win. Should Win: I have yet to see Bobby, so I can’t really judge it but I think it’s safe to say it won’t win. The Queen and Little Children are great and wonderfully intriguing films but Babel and The Departed are the top competitors in this category. I was disappointed by Babel and blown away by The Departed. The Departed should win. Will Win:<The Departed. But don’t be shocked if Babel pulls out a win. Who Should Win: I have only seen The Queen and Little Children (I’m planning to see Notes on a Scandal this week). Despite this small sampling, I’m convinced that Helen Mirren’s performance as The Queen deserves every accolade she has received so far. Who Should Win: I have been watching Forest Whitaker guest star on E.R. this year as a crazy man who stalks his doctor. But when I watched The Last King of Scotland last night, to see him in a completely different role as Ugandan dictator Idi Amin is absolutely terrifying. Who Will Win: Forest Whitaker. He has no competition. Should Win: There are three strong competitors in this category: Borat, Dreamgirls, and Little Miss Sunshine. Little Miss Sunshine deserves the win the most, but it doesn’t stand a chancce against the movies with more hype. Will Win: Dreamgirls. How can it not? Should Win: Once again I have only seen three performances. Nevertheless, choosing Meryl Streep above the others is easy. Like really easy. >Will Win: Meryl Streep. The other actresses in this category are only nominated because five slots had to be filled. Meryl Streep is the only legit nom. Who Will Win: Sacha Baron Cohen and Borat. I don’t feel as though I need to explain this one at all. Should Win: Well, I only saw Happy Feet and I must have missed something because everyone else seemed to love it. I really believe another movie deserves to win. Will Win: But who am I kidding? Happy Feet has been receiving the most awards for animated feature so far this award season. Will Win: Pan’s Labyrinth or Volver will win. Then again, everyone seems to in love with Letters from Iwo Jima right now. I honestly have no idea. Who Will Win: It’s going to take a lot to beat out Jennifer Hudson. But she still deserves every award, just to burst Beyonce’s bubble a little but further. Who Should Win: I’ve seen all the performances and all are deserving of a nom, but Eddie Murphy and Jack Nicholson are the best two. Murphy should win because in Dreamgirls he delivers his best work is years. Who Will Win: Eddie Murphy. But, then again, everyone loves Jack so just be ready for him to accept the prize. Who Should Win: It’s between Inarritu and Scorcese. Who Will Win: Martin Scorcese. Because I said so. Who Should Win: Peter Morgan for The Queen. It’s a great script. Who Will Win: Peter Morgan but William Monahan has been winning a lot for The Departed. He could win too. There are my predictions for the Golden Globes. Remember, they begin at 8pm est on NBC! Enjoy the show and I’ll be back either tonight or tomorrow with a full recap. I like your style; putting out all your predictions for everyone to see. And you seem quite sure on some of them! Good luck! U r so strong! Could u pls tell me the next lottery’s result? You predicted everything!! AMAZING!! Good job!